On Friday afternoon at the Islamic Society of Bay Ridge, a large mosque and community center in an especially diverse neighborhood of Brooklyn, Muslim men double-parked their cars and ran from adjacent storefronts to catch the start of the 1 p.m. prayer. As the interior of the mosque filled up with more than 100 people, those left outside began claiming space on the sidewalk, using Arabic-language newspapers as substitutes for prayer rugs. It was a normal Friday, except that many in attendance were a little more tense than usual. 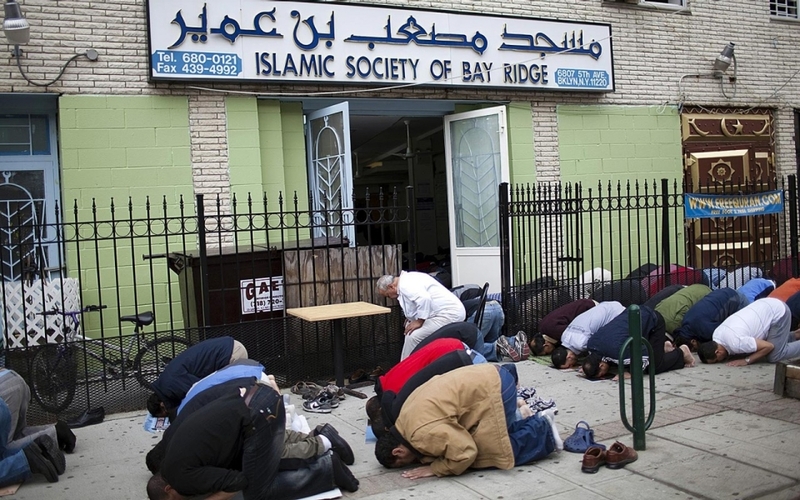 This was the first Friday prayer following the release of documents by The Associated Press that showed several mosques in New York, including the Islamic Society of Bay Ridge, had been labeled as suspected “terrorist enterprises” by the New York City Police Department (NYPD), and were under the department’s watchful eye for years. The AP also revealed in 2011 that the NYPD was keeping several Muslims under surveillance, but the new revelations came as a shock to many in the Bay Ridge Muslim community, who said they’ve had nothing but good relations with the police. But to others, the documents were just another sign of a continually worsening relationship between what they say is an overly suspicious NYPD and Muslim-Americans just trying to go about their lives. A seminar was hosted last month by Christians Together in England to consider ways to “stem the flight of black British youths to Islam and radicalisation”. 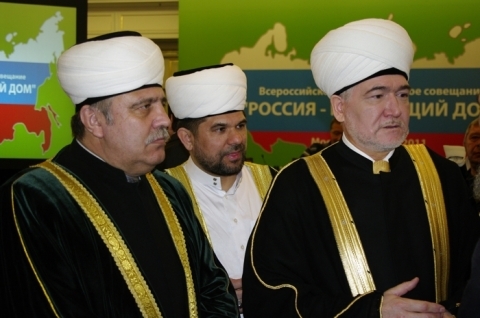 In an unprecedented move, Muslims were invited to attend – and they did. Together, both faith groups discussed the reasons why a growing number of young black people are choosing Islam in preference to Christianity. According to this morning’s BBC Radio 4’s Today programme, one in nine black Christian men are converting to Islam. Following in my father’s footsteps, I was raised as a Roman Catholic and attended Sunday mass regularly as a child. I also attended a Roman Catholic secondary school – initially a cultural shock as I found myself the only black student among a predominantly white class. The religious focus of the school was, however, a refreshing contrast to my urban, street background. Teachers and students were more serious about God than at my previous schools. A student was not considered “nerdy” or “odd” due to their religiosity. I was therefore able to excel in religious studies and was successful in my final O-level exam. Egyptian authorities must protect churches and Christian homes and businesses from attack and Islamists must stop inciting sectarian violence, Human Rights Watch said on Thursday. Cairo, Egypt-After a long stressful day due to increasingly crazy events and ever changing news, I had to quickly return home before curfew, which the government imposed to reduce the chances of Muslim Brotherhood violence in the streets. As I entered my home, I heard the bells of the nearby church ringing in a strange way. Next came screams and the sound of many gunshots. I t old my children to stay away from the balconies, and got ready to defend my family against any possible attack. But my curiosity as a journalist kept on pushing me to get out and cover the story despite the risk because I know that journalists are most targeted by the Muslim Brotherhood gangs, even more so than police and army members, because they are present in an unmarked way with no badges or uniforms and work to uncover the facts of the Muslim Brotherhood to the public. The Brotherhood have already killed a dozen journalists and wounded many others. Heading fast to the nearby church, I noticed many of my neighbors, both Muslims and Christians, carrying knives, sticks and like me, scurrying to the church where the sounds of gun shots had stopped. I saw man with a serious wound to is arm as his brothers put him into a car to go to the closest hospital. Getting to the church, I had expected to see a large number of dead and injured people, and worried that the church would be torched. 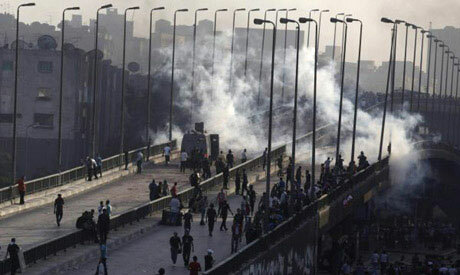 But thank God, I found only 3 wounded with minor injuries in the hand and the head, wounds that were the result of citizens fighting with Muslim Brotherhood members before people quickly converged on the church, forcing to Brotherhood to retreat and run away. There were hundreds of Egyptians of all ages. All of them made it clear they were willing to kill Brotherhood members if they turned up again. About half of them were Muslims. A few Salafists, too, came to be with us as they live in the same neighborhood and refuse to attack the church. I heard a lot of dialogues between Christians and Muslims. I felt the warmth of real cohesion and unity against the new danger, and knew that there is no difference between our needs and destiny because everyone was there to protect the House of God. One issue often discussed on news sites and blogs over the last several days is the many attacks on Egypt’s Christian communities. 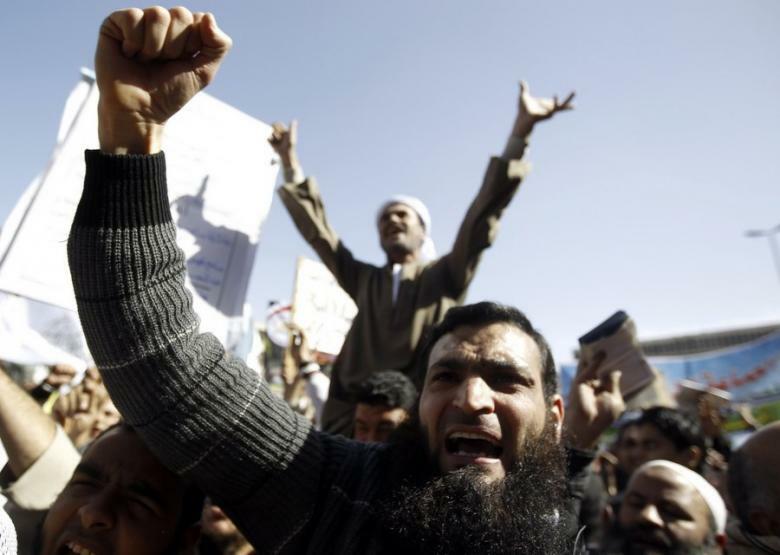 Several outlets have reported that violence by Mohammad Morsi supporters has left dozens of Christian churches, Coptic-owned businesses and properties burnt. 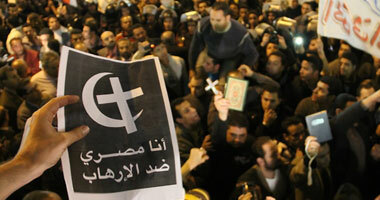 Fears of widespread sectarian strife seem to be growing among Egypt’s Christian minority. 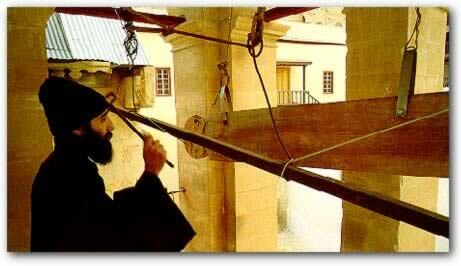 The violence against Egypt’s Christians reminds me of the important symbolism of Muhammad’s letter to Christian monks at St. Catherine’s, Mount Sinai (Egypt) in 628 AD. “This is a message from Muhammad Ibn Abdullah, as a covenant to those who adopt Christianity, near and far, we are with them.Verily I, the servants, the helpers, and my followers defend them, because Christians are my citizens, and by Allah! I hold out against anything that displeases them.